48 Down And Out (feat. Cocky) Peewee Longway, Young Dolph & Cocky! No Matter What Young Dolph & T.I. Foreva Young Dolph & T.I. Cut It (feat. Young Dolph) James Hype Remix O.T. Genasis, Young Dolph & James Hype! 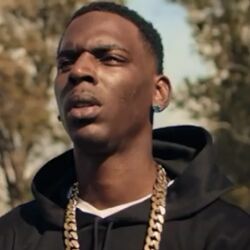 Discover more playlists and music by Young Dolph on PLAYLISTED. Like By Mistake (feat. Juicy J & Project Pat) (Remix), Neat (feat. Young Dolph, YFN Lucci, Peewee Longway, Flipp Dinero & G Herbo) (Remix), Downfall (feat. Young Dolph & Lil Baby) and Break The Bank (feat. Offset).